We know that the local roads here in Colorado can become treacherous during the spring and summer months. Thousands of accidents each year in the area are caused by drivers not adjusting their driving behavior to the conditions. Here at our Littleton driving school we’ve developed a precision skills track to help keep drivers safe when driving in the rain. In this post, we highlight our precision skills track as we focus on five safety tips for driving in the rain. Click here if you are looking for parallel parking tips! When your wiper blades are in poor condition, they lose functionality and stop clearing water from the windshield. A poorly performing wiper blade will distort your vision of the road in front of you. That’s why it’s critical that you replace your windshield wipers the moment you notice they’re losing performance. It’s also important to keep windshield wiper fluid in the car with you at all times. Cruise control is a common feature in modern vehicles. It allows the driver to sit comfortably while the vehicle maintains a constant speed during a straight run of road. But during wet weather, it’s important to avoid using cruise control. That’s because cruise control can enhance your chances of losing control of the vehicle when there are wet road conditions. In these types of conditions, you may only have seconds to react, which means you must maintain full control of the vehicle. 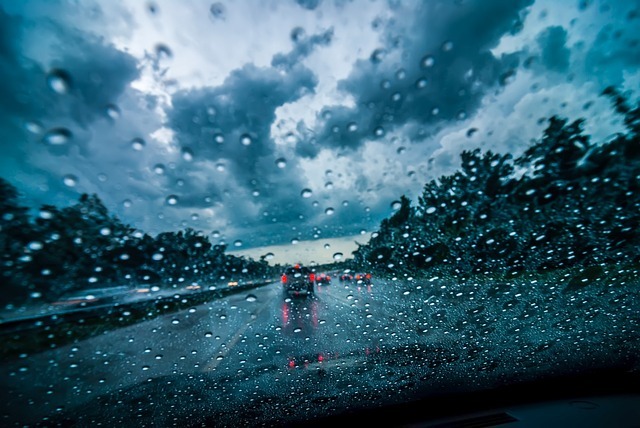 By maintaining a slower speed, you can avoid the likelihood of your vehicle hydroplaning and rising over a film of water on the road. As a cautious driver, you should reduce your driving speeds to correspond to the amount of water on the road. Remember, even at speeds as low as 35 miles per hour, new tires can still lose contact with the roadway and cause the vehicle to lose control. Skidding can occur at any moment when there’s a sufficient amount of water on the road. To maximize safety during rainy weather, it’s important you know how to respond when a skid occurs. Continue to look and steer in the direction you want the car to go and avoid slamming on the brakes, as this will make the vehicle harder to control. In challenging driving conditions, common driving courtesy is especially important. Remember to give drivers in front of you and behind you plenty of room to maneuver and make sure you recognize the signs that a vehicle is about to try to take over to adjust the position of your vehicle. Giving other vehicles more room than usual in these conditions is a key to road safety. By understanding the dangers of driving in the rain, you can become a more responsible driver over the coming years. To discuss this topic with a trusted specialist and find out more about our precision skills track, speak with our driving educators today!